This main level condominium in Meadowbrook is very spacious and has great sunset and city light views! Home features living room with brick fireplace and crown molding. Separate, formal dining room for family dinners and kitchen with tile floor and breakfast bar. Both bedrooms are spacious with walk-in closets and both connect to full baths! The sunroom overlooking the valley at the back of the home will be a favorite place to relax and take in the views! 2016 updates included new countertops, fresh paint, new carpet in the bedrooms, crown molding, hardwood/laminate flooring, tile flooring and energy efficient windows throughout. 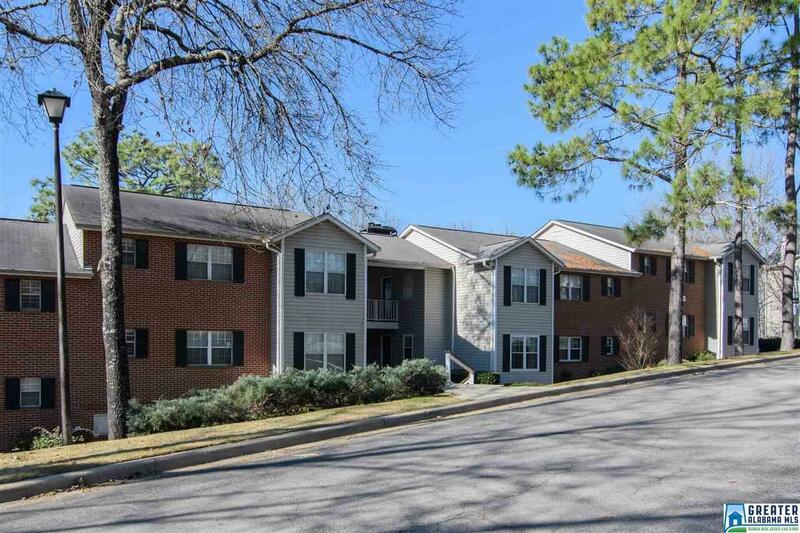 Complex features swimming pool, tennis courts, and fitness room and is conveniently located to HWY 280, I-459, shopping and grocery! Driving Directions: Hwy 280 To Meadowbrook Road. Take 2nd Right On Meadow Ridge Road. Turn Right Into Horizon Subdivision. Go Straight, Take Left On Morning Sun Drive. Circle Back To The Left - Unit Will Be On The Right. Building Is Close To The Pool, Clubhouse And Tennis Courts.